Match our barcode scanning solutions to your budget and use case. 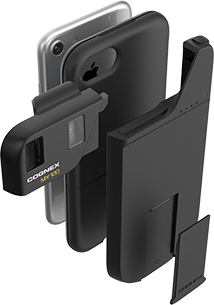 Our scanner API, the Cognex Mobile Barcode SDK (cmbSDK), is free with MX hardware purchase. * IOS is a trademark or registered trademark of Cisco in the U.S. and other countries and is used under license. Other names may be trademarks of their respective owners. IP-65 Sealed, 50 drops to concrete from 2m, Integrated illumination and Aiming, Physical Triggering, Pistol Grip option, and more.. The universal, device transparent Cognex API software for deeply embedding our barcode scanning solutions within your apps. Discover that the Cognex Mobile Barcode SDK (cmbSDK) unifies barcode scanning functionality throughout Cognex Mobile Solutions. Using the cmbSDK, a single application code base enables scanning across our supported devices: a retail mobile device (smartphone, tablet, iPod, etc. ), the MX-100, MX-1000, or MX-1502. 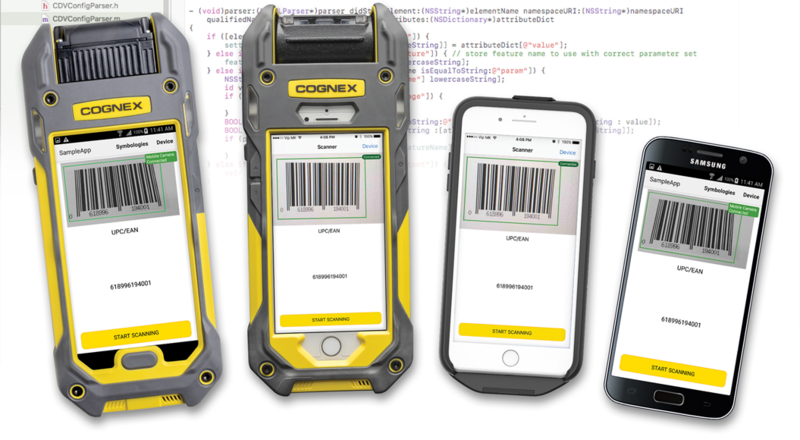 Cognex is committed to this universal API as we expand our mobile solutions to include new devices like value-line, and wearable barcode units, providing unparalleled capabilities for mobile barcode scanning today and tomorrow. Cognex now provides the first single, unified product line that can address the entire mobile scanning needs of the enterprise: from light-weight, front-office scanning with mobile devices, to industrial, manufacturing, or warehouse applications required durable or rugged scanners.